Walk the Moon’s second full length album just dropped this week. It’s titled, Talking Is Hard and I couldn’t agree more. The guys take a musical journey on this album, venturing out of their usual beach-pop sound to a more sophisticated alt/rock band. There are so many new elements that were tested on this album and Walk the Moon prevailed. 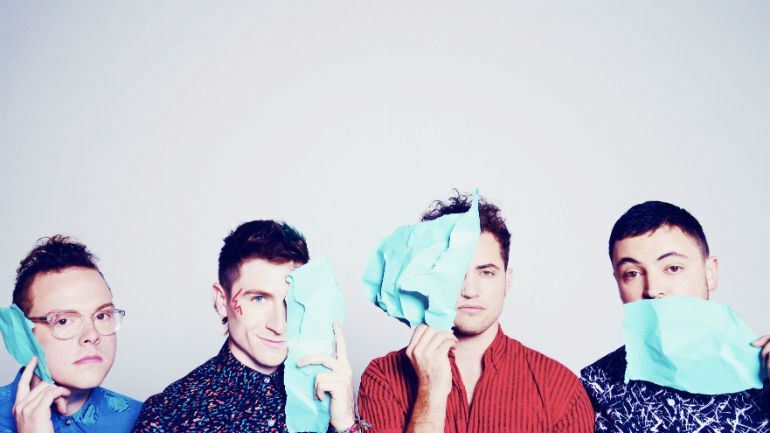 Songs like “Sidekick,” “Shut Up and Dance,” and “Avalanche” are classic Walk the Moon sounds. This band has mastered the short guitar riffs and have let them infest these tracks in the coolest way. Lead singer, Nicholas Petricca’s vocals are unique, high-pitched at times, and shout-y but in the best way possible. If you’ve ever watched any of the bands Instagram videos you would know that every band member has a fantastic singing voice and they all harmonize together beautifully. This band has truly come into their own on this album. The song “Up 2 U” shows WTM fans that they can freaking rock. The song slowly builds up to an absolutely electric chorus, you can’t help but say “No way is that Walk the Moon?” Petricca takes a hint from The Black Keys and belts into a muffled microphone as guitar’s wail violently behind him. Near the end of the song, the band truly goes insane playing a massive guitar solo, including stop-time (an essential rock staple), and making fans drool to hear this song live. Petricca and bassist Kevin Ray tear up a live performance. “Portugal,” delivers powerful lyrics highlighting the reality of growing up, losing friends, and losing love. Petricca backed by the other men, sings, “You grow up when you’re not looking, we grow up but without knowing, and all of a sudden I’m leaving.” Synthesizers layer on the edge of hidden haunting piano chords. This song in its entirety is trance-like, almost as if you could listen to it all day. The band harmonizes/chants different phrases from the song, which tie the song together to create what is an absolute stand-out track off the album. Another new sound off this album is heard on, “Come Under the Covers” the boys bring back a solid guitar riff and show off their more alternative side. Petricca’s vocals are smooth to the point where he could melt you into a puddle. Verses seem reminiscent of a soaring guitar U2 vibe, that can make anyone feel enlightened. The song is a masterpiece start to finish. 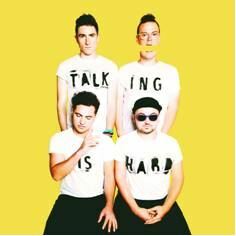 Walk the Moon knows how to use imagery in their lyrics to the point where it’s almost magical; “Tiptoe, down the hall from where you live, these floors are talkative.” “Come Under the Covers,” expresses a passionate love and the physical aspect that comes along with knowing and loving someone so much. The lyrics are modest without going overboard, but gives fans enough of a sultry taste into the story Walk the Moon is trying to tell; “Come under the cover, ’cause I wanna leave you satisfied tonight.” This song makes you want love. Talking Is Hard is a true passion project. 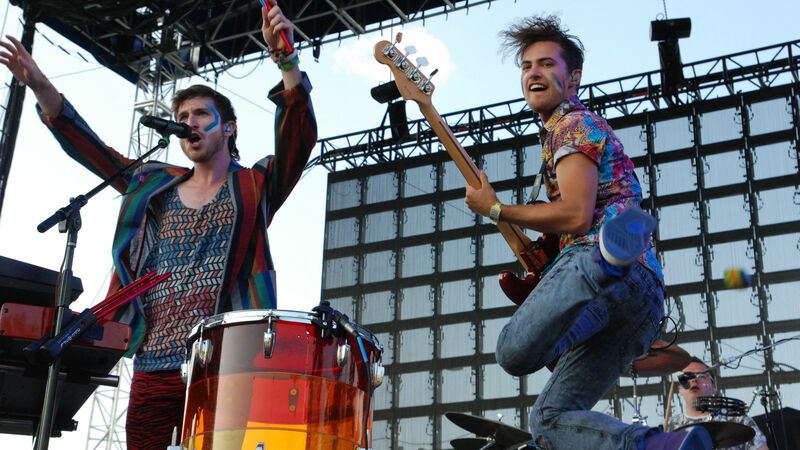 Walk the Moon makes you feel so much in only a matter of 12 songs. I am so proud of this album and the true artistry Walk the Moon has expressed.